When I learned that the original Lego Movie was getting a sequel, I was very excited, considering how fun the first was. In a very unexpected way, Warner Animation Group surprised viewers with one of the most memorable adventure movies of 2014. Riding the coattails of that success, Warner Brothers decided to give a spinoff in the way of the Lego Batman Movie in 2017, which took all the best parts of the first movie and cranked the absurdity to 11, resulting in an even more fervent adventure. Finally, in 2019, we’ve received a direct sequel to the original funfest. While “The Lego Movie 2: The Second Part” seem to take a more serious approach as a sequel, every essential element from its predecessors are represented diversely in this film. Thanks to the reputation of its predecessors, the film takes no time reintroducing the viewers to the world of Bricksburg right after the events of The Lego Movie. When the city of Bricksburg is quickly turned into a deserted wasteland, we learn of an alien who comes from the Systar System that is made of LEGO DUPLO. It captures Emmet’s (Chris Pratt) best friends, causing him to set off on a journey to try and save them. Of course, for a film as quirky and interesting as this, the plot is layed very thin and acts as more of a backdrop. The rest of the elements play much larger roles, with the key ones being the unique visual effects style and quip-style comedy. It is most definitely refreshing to see these features come to life in the form of this very erratic movie. “The Lego Movie 2: The Second Part” delivers on a fulfilling plot to serve as an element for progression sakes to challenge and move the beloved characters to better and more ludicrous scenarios. Most obviously, where this film excels the most is in the animation department. Every single frame in the film features a wealth of playful humor, to the point that it is hard to find everything in just one viewing. All that is placed in the movie is done so meticulously that it comes from a place of both respect and love for the source material that the animators had to work with. In an obvious turn to capitalizing on the popularity of LEGO, each and every single shot in the film uses LEGO bricks and minifigures to the absolute limit of what is possible with the toys themselves. One of the best implementations of this philosophy is with the well-animated backgrounds the characters are placed in. For instance, the wasteland Bricksburg is full of places that look like they could realistically be built with real LEGO brick, but of course, in many settings, the team also takes creative liberties with what can feasibly be done with the toys. The style of animation that is used makes the film look like a vintage frame-by-frame stop-motion picture. What it lacks in music, however, “The Lego Movie 2” makes up for in its cast. Most characters that are included in this new experience bring a whole new dynamic into play. While Emmet is on his journey to rescue his friends, he meets Rex Dangervest ( also Chris Pratt), who acts as both a parallel and mentor to Emmet. He’s one of the most fleshed-out characters, and his arc runs alongside the main plot to fully tie together a fun and interesting character. 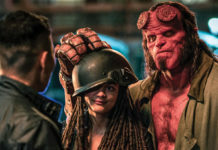 One other prominent character that shows up is Sweet Mayhem (Stephanie Beatriz) who serves as an antagonist who is more than she initially appears to be. Much like her is Queen Watevera Wa-Nabi (Tiffany Haddish) who acts as the film’s main villain and driving plot device. Her interactions with the cast, as well as the amazing back and forths, make for an enjoyable experience. Much like its precursor, the film’s humor hits the mark every time with its off-the-cuff, energetic humor. Playful quips are liberally used to entertaining effect with new additions such as new characters and settings. Ultimately, the film’s ability to laugh at itself is also a big factor in its humor. This extra bit of character is exactly what makes the humor in the film that much better, as it understands what makes it so comical. The effort the film takes to integrate its humor into the plot makes the comedy that much more hilarious and hits the nail on the head with how on-point and sharp it is. 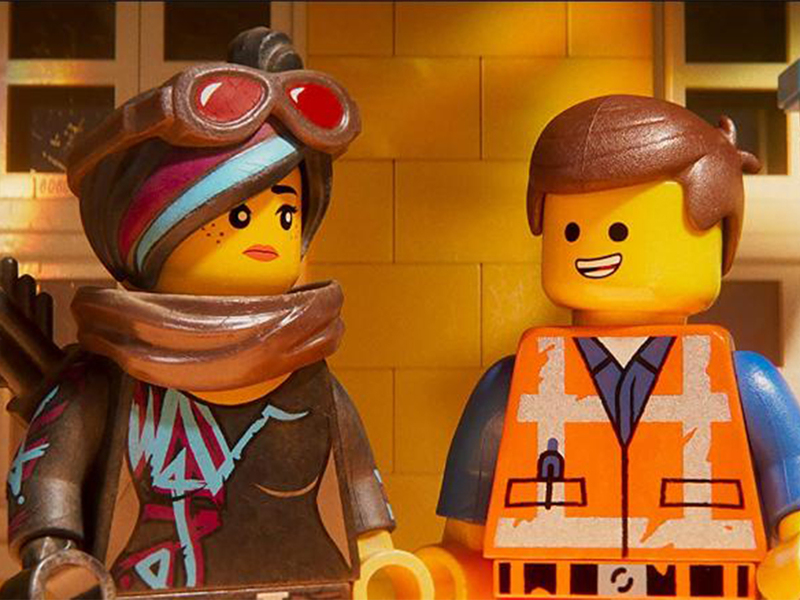 Verdict: Overall, the “Lego Movie 2: The Second Part” is an enjoyable film that plays on the gold standard that the first film founded and improves it. While it’s not perfect, it still maintains its remarkable charm and characteristic quirky feel.